For this card I combined two challenges, Stampin' Royalty and What Will You Stamp? 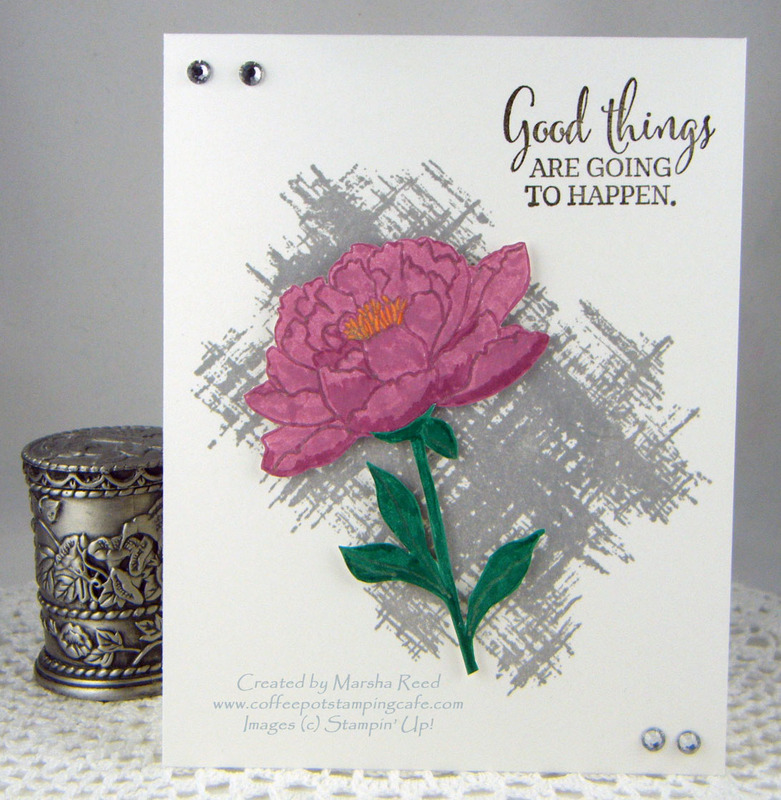 The theme of Flowers from Stampin' Royalty and the stamp set You've Got This from What Will You Stamp? were perfect for each other. This has been one of my favorite stamp sets and I haven't used it for a while, so combining these two challenges made for a pretty card. And, with that, I'm going to say goodnight. It's late here in my next of the woods and I'm almost out of time to get this into the Stampin' Royalty challenge. My day just got away from me. To visit Stampin' Royalty to see more projects using their theme of Flowers, click the image below. 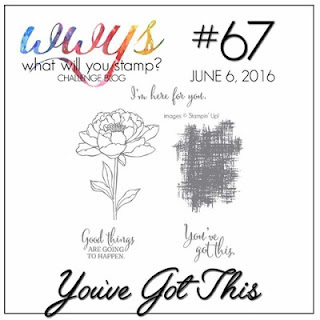 For all the challenge details about the You've Got This challenge at What Will You Stamp?, click the image below. Thanks, Brianne! I love flowers so I knew I had to join along this week. I love the shading on your flower! Beautiful card. Thanks for joining us this week at WWYS! Thank you! I'm still such a novice at coloring. The flower really pops against the gray background! and I agree with Maria -- beautiful shading! Thanks for playing along with us at WWYS!! Thanks, Tammy! Coloring is not what I do best but I keep trying. Thanks, Sue! This has been one of my favorite stamp sets. I especially love that background stamp.